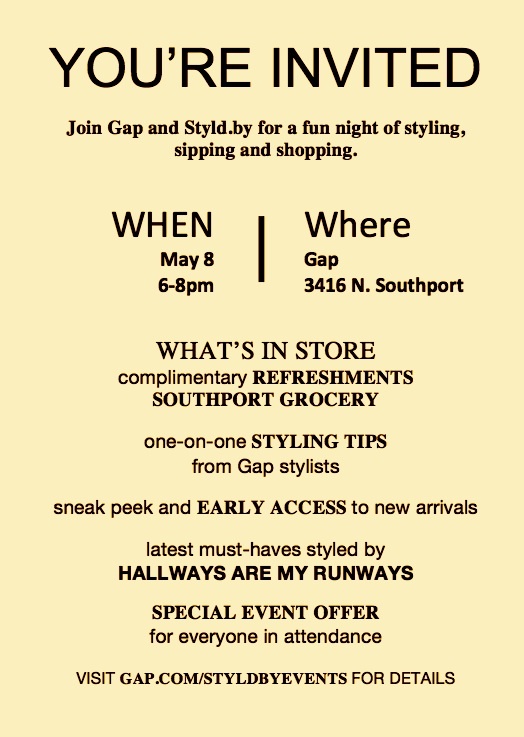 Join me Thursday, May 8th for a Gap Southport Spring Styld.by Event. I’ll be styling the latest must-haves. Sip, shop and get a sneak peek at the new arrivals. Enjoy music, photo area, live models, jeans giveaway every 30 minutes and other surprises. ALL are invited. Hope to see you all there!